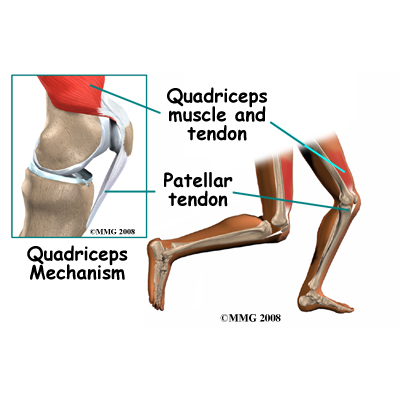 So, I’m pretty sure I have quadricep tendonitis. Remember when I said my IT band was bothering me last week? Well, I was actually wavering back and forth wondering if the ache was in my quad or my knee. On the day I wrote the post I thought it started in my IT band and worked its way up my quad, but now I am fairly sure it’s just all the quad. The ache isn’t really a pain that hurts so bad I can’t run, but it’s definitely ever present during a run… and really noticeable if I sit still for too long with my knee bent. The “cure” is rest, which I find incredibly annoying, but I definitely don’t want to take any chances with the marathon just about five weeks out. (I totally thought I was going to make it through marathon training unscathed! Hah!). I’m waiting to hear back from my coach, but I think I’ll be doing some pool running for a couple days. I hope that I’ll be back to regular running by the weekend! Fingers crossed! I’m actually not sure how optimistic it is to think I could be running again that soon, but thinking positive thoughts is supposed to help right?! I am WILLING myself to get better fast! In other important news, today is Cecil’s 7th birthday!!!! Cashier: WOW! How many cats do you have?! Oh well, since we don’t have human kids I think we are entitled to spoil Cecil a bit! The cat tree was his main gift. I’ve always thought they were a bit of an eyesore (I still do), but I figured C would LOVE it so I finally caved and bought one. He made himself at home on the top shelf right away! Have you ever had QT or anything similar? How long did it take you to get back to running? Previous Post A Bittersweet Day! Eeeks good plan on pool running. Hope you recover quickly! Oh man, this is never the kind of post you want to see from a runner! I hope that you heal up quickly! I think if you are smart about it, it sounds like the kind of injury that won’t hang around too long (hopefully). That’s what I was thinking too… since it’s more of an ache than an actual pain I am hoping it will go away quickly with a little bit of rest and TLC! The worst part about injuries is the waiting to get back to running! It’s so tempting to push it. While I’ve thankfully never been truly injured, I have a mild case of runner’s knee right now. I took 4 days off from running and did 3 miles yesterday and 5 today, at a much slower pace than usual. I probably shouldn’t be running yet because I am still feeling some knee pain, but it’s just so tempting! I also have a cat birthday coming up next week. I should start thinking about gifts! I feel so lucky that I’ve never had a major injury as well. *knock on wood* that we stay that way! Happy birthday, Cecil! I love that conversation at petsmart! As for your knee, hang in there! Maybe go see a PT if you can, at least to get some good exercises to do to strengthen it! Keel us updated. I have to get a referral to a PT for my insurance to cover it. I called my primary doc today but the earliest he could take me is Tuesday! Eeek, I hope it clears up on its own by then! I agree with Lisa, never a post you want to read. I really hope it heals up quickly, and I hope coach has some good tips to get you back out there. Happy Birthday, Cecil! He looks like the king of the castle up on that tree! I agree, our cat condo is a huge eyesore BUT jelly goes nuts for it so it stays. I am sorry your quad is bothering you. Never underestimate a good ‘ol PT rub down or someone that does ART. They may be able to help it heal faster! I think the earliest I can see a PT will be Tues or Wed next week 🙁 I have to get a referral from my primary doc and he can’t see me until Tues morning. I really hope it’s all cleared up by then!!! Fingers crossed! Bummer about the QT. Rest, stretch–roll out those quads, ICE. Hopefully, it won’t linger. Love the pic on the stand–so regal! Definitely rolling and icing!! Rolling feels really good and the ice instantly helps! I wish I could walk around with ice on it all day! Oh – no, I hope you aren’t battling a serious injury – rest now because you have trained too hard to not run that marathon!!! Happy birthday to Cecil – love hie new tree!!! I read another blogger write that she took a couple extra rest days before her recent big race because she would rather show up slightly undertrained but uninjured rather than the other way around. That seems like a smart philosophy to me, although I really hope I’ll be able to push out a a couple more weeks of solid training before the taper! These topics are so cofsnuing but this helped me get the job done. Oh no! I hope it heals quickly. Oh no!! I hope you recover quickly!! Injuries are the pits I’m sorry to hear this! Hopefully it heals quickly!! Ugh, totally the pits! Thank you, Desiree! Happy Birthday Cecil!!! I hope you have a PAWsitively great birthday! 😉 Okay, that probably didn’t come out the way it was in my head, lol! Kristina, I really really hope you are not sidelined for long. 🙁 I had a feeling similar right before Boston this year. I couldn’t quite decipher where the ache was coming from. It was tight and in a very close area as yours is. Now I’m wondering if it was QT! :0 Keep us updated on your injury. Rest up! Hahaha Cecil had a pawsitively perfect b-day ;D He had quite a few extra chicken treats!! I sent you an email about QT! 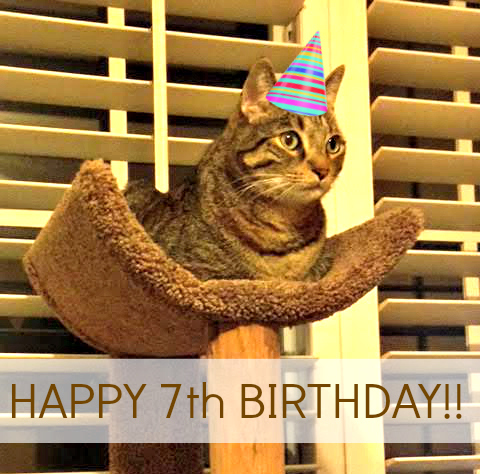 Happy 7th birthday Cecil!! Hope he had a wonderful day (I guess every day as a loved cat is a wonderful day though yes?). Hope you recover quickly, that’s no good. How strange – I was just wondering if I have some sort of knee injury or maybe even this IT band issue that I hear so much about, but am currently yet to experience first hand (hopefully). My knee has started to click EVERY time I walk up a step. Every step = a loud click. I also can’t cross that leg or put it any awkward positions anymore, and the other day when stretching after a run there was a very strange feeling on the outside of my knee and leading up the outside of my leg – is this the IT band?? Pool running sounds a good option though. take it easy for a little while and you’ll be fixed in no time! I hope it’s nothing and pool running helps ease the pain/ache! I hope it turns out to be nothing too! Since it’s just a deep ache and not actual shooting pain or anything I’m hoping rest and TLC will heal it right up! OMG NOOOOO PLEASE DON’T HAVE QT 🙁 I am thinking of you this week, sending all of my get well soon vibes!!! Thank you, Hanna! Fingers crossed!!! Awwww that’s such a cute idea to put a candle in the wet food! I gave Cecil extra freeze dried turkey today as a birthday treat (he loves freeze dried turkey!!! literally loses his mind over it lol). Happy Birthday, Cecil. That is awesome that you and Adam treat him like a King. 🙂 Lucky cat. I hope your injury isn’t too serious and is something that you can overcome quickly with a little rest and pool running. I have been battling some knee pain myself and always mask the pain with two Aleve before heading out on my runs.